If you have an old vehicle sitting in the garage that's no longer needed, you may want to consider donating it to a local charity. It saves you the hassle of trying to sell it yourself, you get to help out a local charity and you get a nice tax deduction to boot. 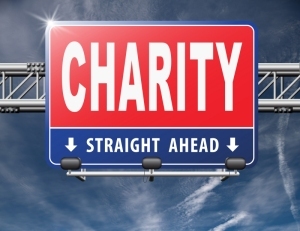 Most charities will arrange to have it towed at no cost to you. Of course, you'll need to have a clear title so you can sign it over. The vehicles are typically sold at an auto auction and the proceeds, less the auction and towing fees, go to the charity. Please contact the charity for specific details about their donation program. Click for information.